Payne Heating & Cooling had its beginnings in 1914 when D.W. Payne and his son began building gravity-type furnaces in a barn in Los Angeles that they converted for the purpose. They gained success when they offered the first floor furnaces that could be easily installed in a crawl space area. In the early 1930's Payne created and marketed the first forced-air, down-discharge furnace as well as a forced-air furnace that was approved for closet installation. 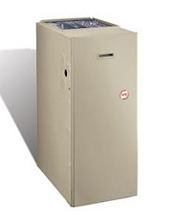 In 1950 Payne was one of the first to offer perimeter heating and zone heating. Carrier Corporation formed the BDP Company in 1974 which combined Payne, Day and Night, and Bryant. 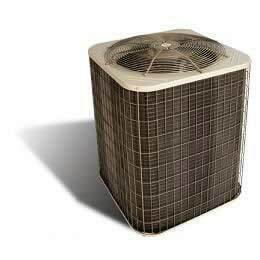 Payne produces highly efficient and well made air conditioners, gas furnaces, heat pumps, coils, and many others. How does Payne know their customers so well? Simple. Nearly 100 years of experience. There are no short cuts when building a brand that stands for dependable products at the best possible price. The same principles that made D.W. Payne and his sons successful in 1914 are still very evident today. When you choose Payne® products, you’re getting more than just a name. You’re getting attractive, affordable products that work. Dependability is our value. That’s the Payne promise.